Bro. Eliseo Soriano made it as finalist in this year’s Mashable Awards, an international award-giving body that recognizes the year’s best technologies and most influential personalities who use the Web in the field of technology and social good. The Filipino preacher, known as Bro. 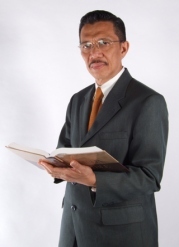 Eli, was nominated in two categories, the Best Web Video category (livestream.com/elisoriano) and Must-Follow Personality (@BroEliSoriano). Twitter and Facebook users nominate these personalities for their accomplishments and contributions to society. Mashable revealed the finalists on December 1, 2010, a day after the first round of voting ended last November 29, 2010. Bro. Eli Soriano, who hosts the award-winning television program, Ang Dating Daan, and presiding minister to the Members Church of God International (MCGI), has been actively using the Internet for evangelization. He was last year’s recipient of the same award-giving group’s Most Educational Blogger honors. For such award, Mashable CEO Pete Cashmore said Bro. Eli’s blog is among those who take its place among the 50 top websites (of 2009). The international evangelist beat novelist Paolo Coehlo and multi-talented Stephen Fry. Actress Alyssa Milano was also a contender at the same category during the same year. “Web users cast thousands of votes for the site, selecting it as the very best in the field,” added Cashmore, who is also a regular tech columnist at CNN.com. In this year’s edition, Bro. Eli’s contenders include two South Korean entries: Singer Jay Bum Park and K-Pop boy band Super Junior. American wrestler John Cena and Noah Antwiler, creator of the Spoony Experiment, are also top contenders for the Must-Follow Personality category. For the Best Web Video, the preacher’s Livestream.com channel will compete with A Very Potter Sequel, GameZombie, and music videos by Jay Park and Super Junior’s Bonamana. With votes from supporters, the adjudicating committee will do the final round of evaluation of the finalists as to who deserve to win in their respective categories. On its website, Mashable said voting ends on December 15th. Winners will be announced on January 6, 2011 at the Cique du Soleil Zumanity in New York.